At Normac, customer service excellence is not something we strive for; rather it is the standard by which we operate. We cultivate long term, authentic partnerships with our clients and do everything possible to exceed expectations. You can trust our results. Research is vital and a cornerstone of our business. We continually check with market trends and current laws to update our costs. We use standard cost guides as a secondary source of information but rely on our in-depth bank of knowledge to determine fair appraisals, replacement or repair costs. At Normac, we never rest on our laurels. Continuous improvement is integral to our organization. We understand the demands of a growing market and we are constantly looking to increase our efficiency through technology and process innovation. We pass along our improvements to our clients through faster service and cost savings. Our deep technical knowledge combined with our ability to execute is reflected in the high quality of our work. We draw upon our multidisciplinary team of seasoned experts including qualified Insurance Appraisers and Certified Reserve Planners and Building Scientists. Additionally, we carry Errors and Omissions (E&O) insurance as an added assurance of the quality of our work. 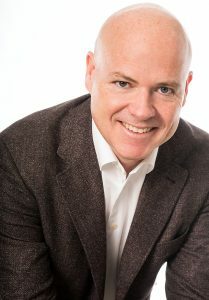 When Cameron Carter founded Normac in 1998 in Vancouver, his mission was to provide the highest quality insurance appraisals in the business. Since then, we have remained dedicated to our initial goal and have expanded our service portfolio to include depreciation reports (reserve fund studies), warranty reviews and building condition assessments. At the core of our business is our relentless belief that our relationships with our clients underpin all aspects of our organization and the high quality of our work remains our competitive advantage. Our well-established reputation has provided us with a strong presence in the markets where we operate. We proudly serve all of Canada. Our team prepares and produces several hundred Building Science and Reserve Fund reports and assess billions of dollars’ worth in replacement cost values on an annual basis. Despite our growth, we have remained staunchly committed to the very belief that has governed our company since inception: the importance of our customer service and relationships.